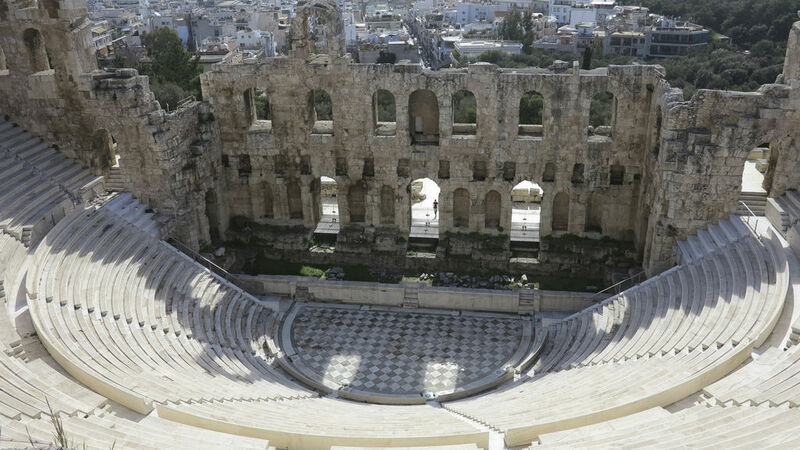 When visiting the Acropolis, don't miss the Theatre of Dionysus, Antiquity's most prestigious theatre, where all the masterpieces of the classical repertory were staged. 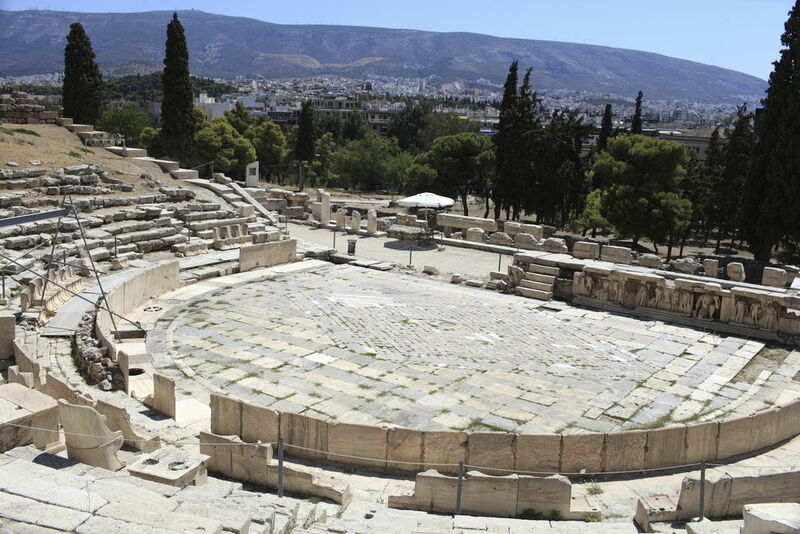 In the 6C BC, a first stage was built in the sacred enclosure dedicated to Dionysus, where the famous Dionysian festivals were held. 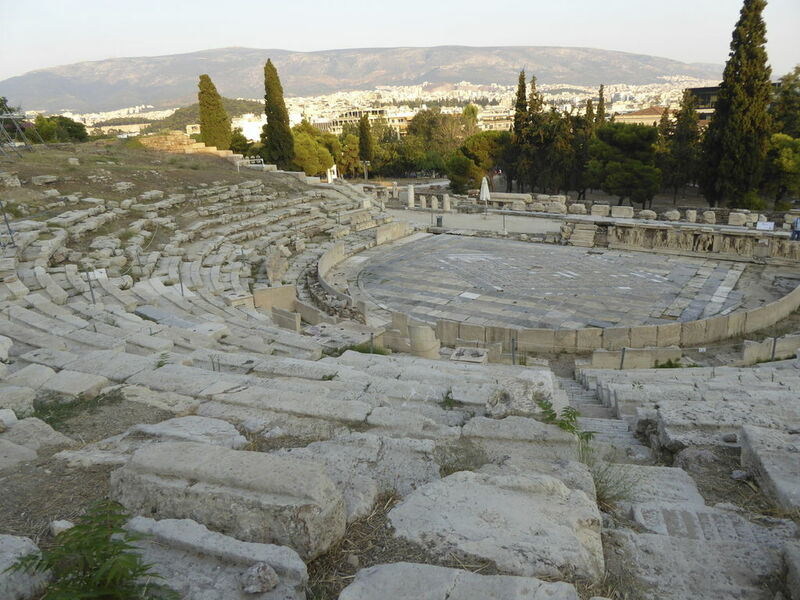 An actual theatre succeeded this in the early 5C BC. It owes its current form to the Romans.